One of the most fun books I have read recently is Melanie Rothschild’s THE ART OF MISTAKES: Unexpected Painting Techniques and the Practice of Creative Thinking. And that IS the thing, you know. 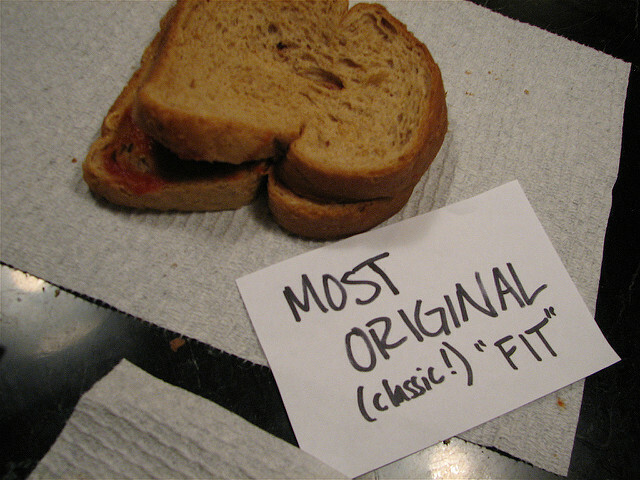 Even something as mundane as making a peanut butter and jelly sandwich can be a creative endeavor…or not. One of the best aids to creativity, I find, is hanging with other people who think playing around with possibilities is fun and who actually work at trying to make something out of nothing as a matter of course. The more people you have around you who are busy living ordinary lives in extraordinary ways, the more likely it is that you will be inclined to do it too. There is nothing quite like being surrounded by other Makers. The video that follows is a marvelous example of the possibilities that can become real when people play with possibilities. It’s about what happened when people who live in a slum built on a garbage heap decided to give their children music…. But, I walk the same road you tread. It continues…the story does not end with you or me. no longer shining quite so brightly. the game of light and shadow. that makes and remakes this World of Dust. it is we who dare to dance between Heaven and Earth. and we the ones who go down in defeat. until we no longer can. some of us touch the stars.